Symphonious Sweets: Cake Slice Bakers: Banana Cake with Chocolate Frosting. Cake Slice Bakers: Banana Cake with Chocolate Frosting. For the last week at work I have undergone sensory training. I have eaten every type of chocolate available for purchase. We tasted every variety of milk from skim to buttermilk and a variety of fruits. It was eye opening. I have never equated chocolate with burnt rubber, brown fruit or sour milk. Now I can not help but really analyze the food I am tasting. Did you know people have their tongues insured for this type of career? Did you know tasting food was a career? I think it is waaay coool! I hope to have my tongue insured some day. Another thing I learned in sensory training is the difference between preferences and actually describing what you are tasting. 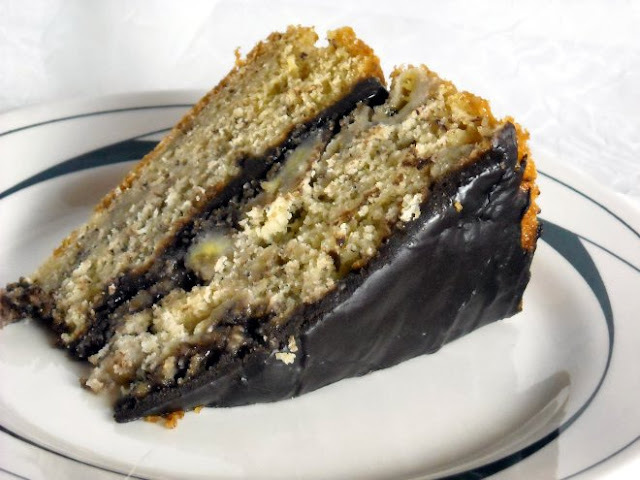 With that said- On to this months Cake Slice Bakers top pick Banana Cake with Chocolate Frosting! Here are the facts. The recipe is quick and easy 1,2,3 and you are done. The frosting is super easy- just heat, combine, and stir. I used Hershey's special dark cocoa and enjoyed the result. 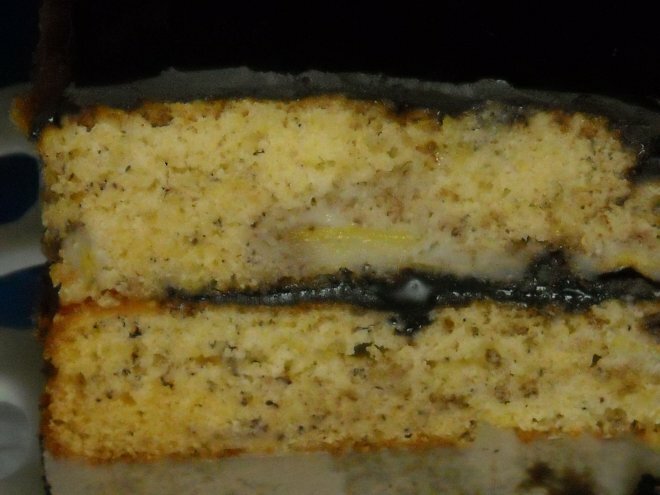 The banana cake is moist with a nice balance of sweet, salty, and a lovely perfumey note from the bananas. I really like this cake and will probably make it again. The frosting had an upfront sweet note, followed by vanilla flavor, and finally bitter chocolate flavor. The texture I ended up with was more of a doughnut icing than a cake frosting. Given my choice I would top this lovely banana cake with a dollop of fresh whipped cream to compliment the banana flavor. As is this recipe was a good one for both flavor and texture. * If you don’t have buttermilk you can make your own by stirring 1½ teaspoons of vinegar or lemon juice into ½ cup of milk and leaving for 10 minutes. To make the cake, heat the oven to 350F. Grease and flour two 9 inch cake pans. Combine the flour, baking soda, baking powder and salt in a medium bowl and stir with a fork to combine well. In a large bowl, combine the butter and sugar and beat well, about 2 minutes. Add the eggs, one by one, and then the vanilla. Beat well for 2 to 3 minutes, scraping down the bowl occasionally until you have a smooth batter. 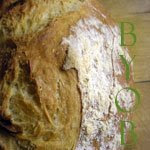 Using a large spoon, stir in half the flour just until it disappears into the batter. Stir in the buttermilk and then the remaining flour the same way. Quickly and gently fold in the mashed banana and then divide the batter between the 2 cake pans. Bake at 350F for 25 to 30 minutes until the cakes are golden brown, spring back when touched lightly in the center, and begin to pull away from the sides of the pan. Cool for 10 minutes in the pans on wire racks. Then turn out onto the racks to cool completely. To make the frosting, combine the butter, cocoa and evaporated milk in a medium saucepan. Place over medium heat and bring to a gentle boil. Cook, stirring often for about 5 minutes, until the cocoa dissolves into a dark shiny essence. Remove from the heat and stir in the confectioners sugar and vanilla. Beat with a mixer at low speed until you have a thick smooth frosting. To complete the cake, place one layer, top side down, on a cake plate and spread about 1 cup of frosting evenly over the top. Cover with the second layer placed top side up. Spread the rest of the frosting evenly first over the sides and then covering the top of the cake. Be sure to check out the rest of the Cake Slice Bakers Banana Cake with Chocolate Frosting. AND don't forget I am having a give away! See my 100th post for info on how to enter! 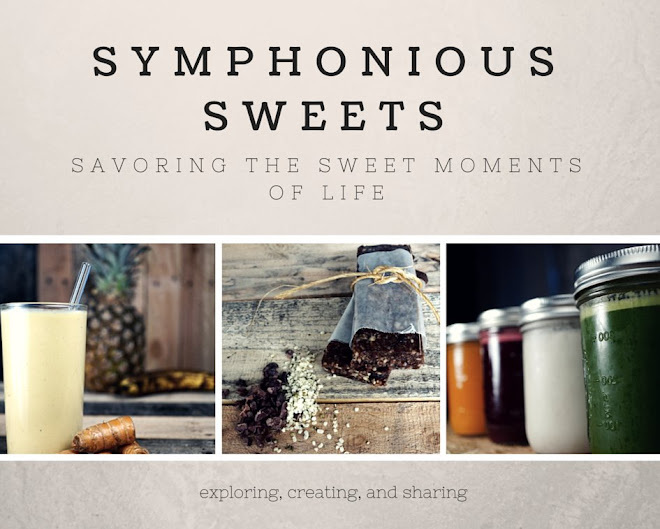 This sounds great and looks delicious! The sensory training sound interesting and I think being a food taster would be a great job. I had no idea people have their tongues insured, kind of funny! Thanks for all the ingo! Ciao ! How interesting !! I love your cake look and agree with you the cake is very very good !! this was a great cake! comparing the frosting to donut icing is spot-on! 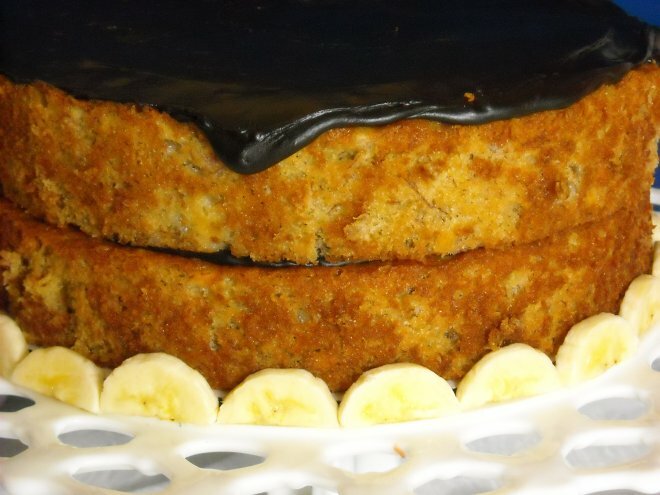 Your banana cake looks gorgeously moist. Love the layered look and you've even added bananas in them. What a brilliant idea. Great job! 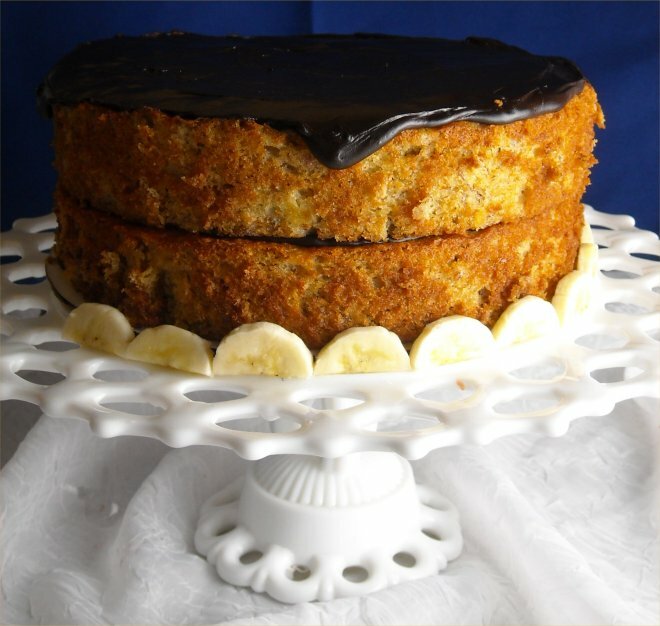 Your cake looks deliciously delectable...I love how your put the bananas around the bottom of the cake! An insured tongue? that's wild! Your cake turned out so pretty- love your cake plate too! This looks so tasty! I could really go for a slice of cake right now! I love how you decorated the sides. very cute! Your cake turned out beautifully!